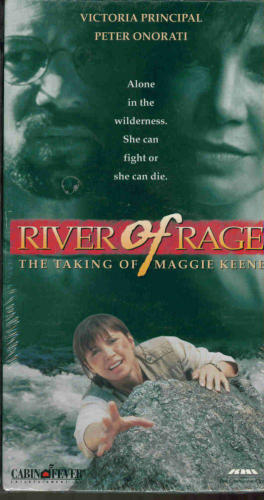 In 1993, Sean participates in the television movie "River of Rage: The Taking of Maggie Keene" in Matthew Keene's role, ex step-son of Maggie Keene, interpreted by Victoria Principal. This television film, diffused in the USA on March 3rd, 1993 by CBS , is a drama of a duration of 95 minutes, realized by Robert Iscove, according to Michael Norell's scenario (the original story was written by Rob Hartill). Worldwide, this television film took the other titles as "Atemlose Flucht" in Germany, " Morte no Rio Grande " in Portugal, "Pânico no Rio Grande" in Brazil. It tells the story of Maggie, a divorcee with 2 daughters and an ex-step-son, is nervous about a river rafting trip with her new boyfriend. Maggie finds herself alone but pursued by ruthless gang. She has to survive the Texan river and heat. The ex-step-son gets worried and set out from California to find her. This is a standard fare woman in peril in the Rockies directed by Robert Iscove. Victoria Principal stars as the woman who goes on a rafting trip with her boyfriend, but who ends up alone after a drug deal goes askew. The cocaine lord of the Rio Grande poetry reciting nutso played by Peter Onorati is one of those John Milius-type he-men with a gym sculptured chest with Michelangelo's Creation of Adam tattooed across it. Principal being established as weak at the begininng, as a divorcee, and wearing no makeup, somehow feeds into the mysogynistic sadomasochistic hunting of one woman by three men in the wilderness, but providing her with a stepson, who has abandoned his own mother in favour of Principal also premeditates the happy ending. If that doesn't, Onorati's posed performance should, though that doesn't spare us the resurrection scare. Whilst this kind of role isn't going to win Principal any acting awards, her despair is convincing enough, she has more tube empathy than the bad guys. Regrettably, there are not Sean's photos extracted from this television film.